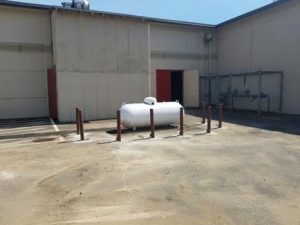 Critical Facility Upgrades are projects that will improve safety and security or extend the life of the building. 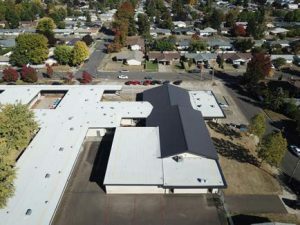 Projects are planned for every school in the district and include repairs or replacement of roofs, HVAC systems, and flooring. All bond-funded projects are scheduled for completion by December 2021. Installation of an elevator for ADA access to all 3 floors. Bids were received on December 12, 2018, we received 2 bids. One from Andy Medcalf Construction and one from First Cascade Corporation. Bids are being evaluated for a recommendation to the School Board at the January 28th board meeting. 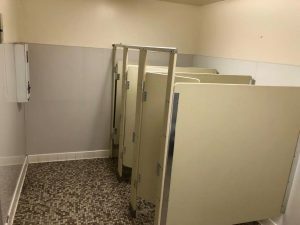 Remodel Restrooms for ADA, Remodel Cafeteria, Mechanical Replacement and Domestic Water Lines. 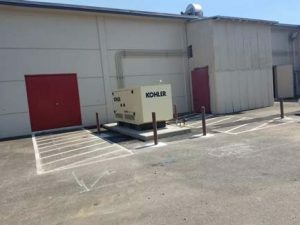 This period the Functional Test was performed as part of the HVAC commissioning process. 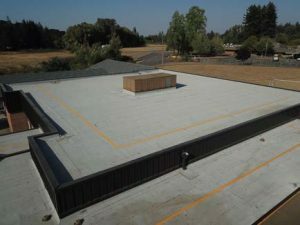 The resulting issues identified became part of the collection of punch list items. The punch list items are in process of completion to be back check by Architect and Engineer. 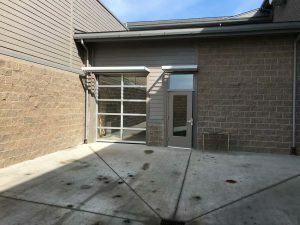 Upon completion and approval by Architect, Engineer, and Owner, this project will qualify for Substantial Completion and General Contractors submission for Final Payment. 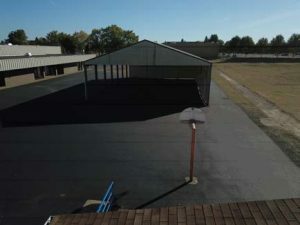 Construction of a parent loop, additional parking spaces and sidewalks, along with repaving the old lot and sidewalks. We are currently working with the Landscape Architect to finalize the planting plan for storm water mitigation and island landscaping. We are also working with the City of Albany to prepare our conditional land use application and site plans. Full replacement of fire alarm system. All close out documents received, reviewed and accepted. Final payment made. Project closed. Oak Grove has it’s own web page HERE. duct work for heating two classrooms with one RTU. 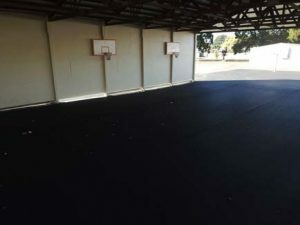 South Shore covered play area. 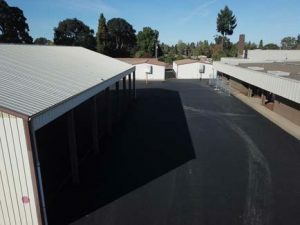 Paving and concrete upgrades throughout the District. Replacement, Coatings, New areas, Striping. All paving construction activity is completed. 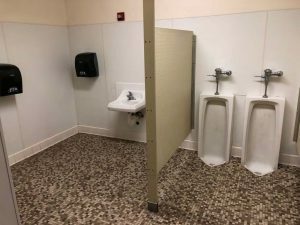 Remodel Restrooms for ADA and Replace Old Drinking Water Pipes. Final O & M’s accepted. Final documents being drafted. The project includes the modification of two Computer Labs on the first floor into Food Science lab and Paxton Patterson lab. A concrete slab outside of the Maker Lab will also be added. 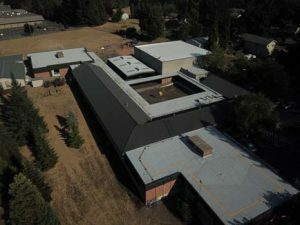 Two bond premium alternates are included in the project, renovation of the existing Computer Lab on the second floor into a Classroom and an adjacent Classroom will be renovated to a Science Lab. 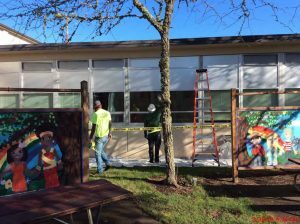 March saw the installation of the remaining roll-up door. This was completed late March during Spring Break. The installation is still be punch listed as of this writing. Food Science end product following Winter Break casework modifications by Baldwin. 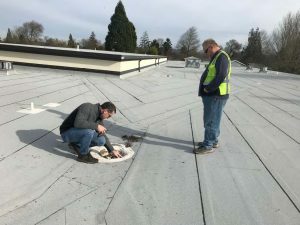 Facilities inspects flashing installed around roof drains as Baldwin Superintendent looks on. 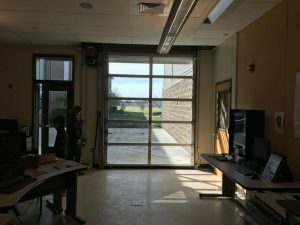 Renovation of five spaces to include Woodshop, Maker Lab, Digital Lab, Classroom 15 and Food Science. 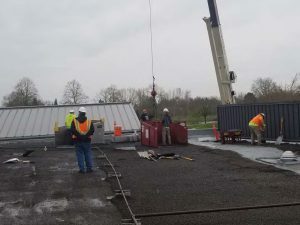 Renovation of library to connect with an Applied Learning space is shown as a Bond Premium Additive Alternate as well as renovation work to the Clothing Lab. Misc. 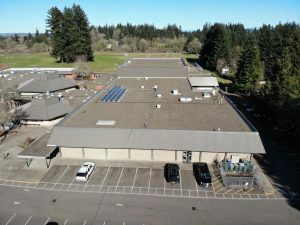 CFU projects include seismic upgrades, Locker Room and Restroom Updates, Food Science upgrades, and replacing plumbing fixtures and piping. 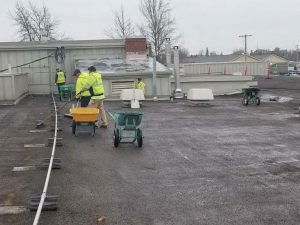 On March 5, 2019, Baldwin General Contracting and A-Tech/Northwest performed a final back-check for all roofing punch list items. 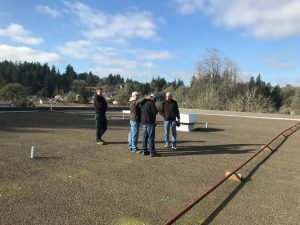 On March 7, 2019, HMK worked with Baldwin General Contracting and DLR to focus in on solutions for outstanding punch list items and outstanding Cost Proposal Requests (CPRs). 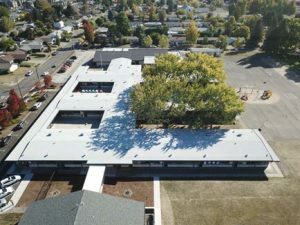 By March 13, 2019 Baldwin General Contracting attempted to complete their punch list items, and the District had signed all remaining CPRs except two which required more discussion. 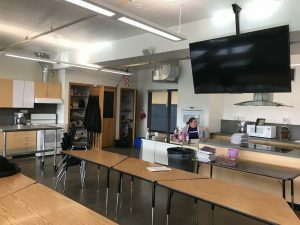 Communications Classroom into a new Science Lab, Fabrication Lab, Maker Space, and Digital Lab; CFU projects include seismic upgrades, Locker Room and Restroom Updates, Food Science upgrades, roof replacement and replacing plumbing fixtures and piping. Andy Medcalf Construction Company (AMCC) have been diligently working in completing the pre constriction phase administrative tasks. Many submittals are bring submitted and reviewed by the DLR Group and the District. They have nearly completed the submission of all product submittals and shop drawings. 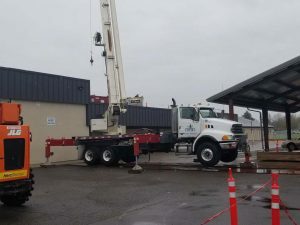 Spring Break provided an opportunity for AMCC to install one of the many shear wall assemblies in the project, in order to gain insight how they would perform remaining assebmlies over the summer break. 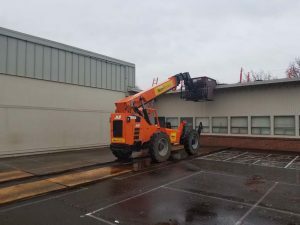 This involved window removal, asbestos abatement, installation of structural members and appropriate interior and exterior finishes. 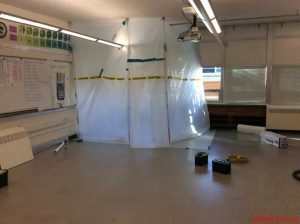 Modify existing Art Classroom, Four Classrooms into CTE Labs and Classroom; Critical Facility Upgrades. Spring Break week making site inspections as well. South Albany High School has it’s own bond page HERE. West Albany High School has it’s own bond page HERE.